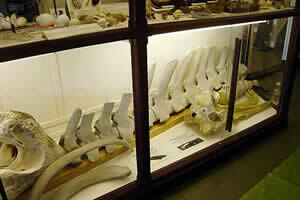 The Prince Room houses our natural history collection. 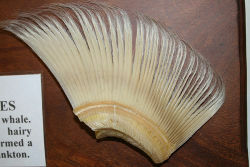 It is named after the late naturalist Peter Prince, who worked extensively on South Georgia. 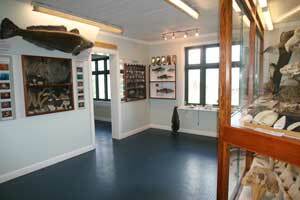 In the 2006/7 season the room was redecorated and a large new display case was installed, providing a fitting home for the excellent taxidermy and skeletal displays. 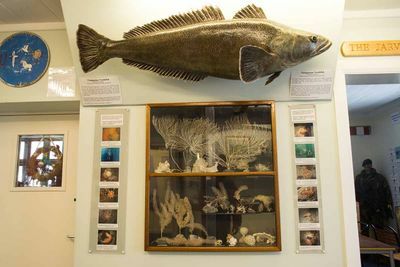 Highlights of the room include a bull elephant seal skull, a foetus humback whale and a wandering albatross chick on the nest. This page was last modified 18:22, 13 September 2016. This page has been accessed 84,752 times.